The Argentine Lobbyist Matías Franco manipulates and pressures politicians into succumbing to the demands of big corporations. An interesting show about one of the biggest influences on modern day politics - the lobbyists. Where can you stream El Lobista? 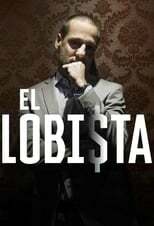 On 2018-06-01 Drama TV Series El Lobista first aired. Written and created by Patricio Vega, El Lobista will return and was last broadcasted on 2018-08-03.